To the delight of anglers everywhere, several small rod companies have surfaced in the past several years that offer products that compete with the biggest brands in the industry. These companies tend to offer fewer price points and rod models, but nevertheless provide the consumer with a quality product at a competitive price. In a world where everything follows the over used “technique specific” mantra, I’ve found this approach very effective in simplifying the buying experience. The Jadewood series ($89-$129) offers anglers a selection of quality fishing rods in traditional and fundamental length/action combinations. The Rosewood series ($179-$229) offers a more diverse selection, with more specific actions and higher-end components. The Noirwood series ($369-$399) is made for those anglers/enthusiasts that appreciate luxuries like carbon fiber handles and exquisite blank sensitivity. 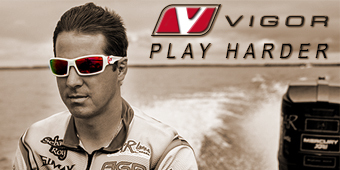 As Denali Rods grew, it added a “signature series” line built on the platform for their Rosewood rods. This series was designed with the input of their impressive Pro Staff and offers both specialty and general purpose bass rods. Thanks to John Munroe, a Denali Rods Pro Staffer from Port Hope Ontario, I was able to handle a variety of fishing rods. The first thing I had to investigate was the “stabilized hardwood” fore grip that is Denali’s trademark. The fore grip is one part of a rod where I am very particular, and I have to admit that I was skeptical. I was pleasantly surprised to discover that this was not a cheap gimmick added in a failed attempt to give the brand some character. To the contrary, it was comfortable, well built, and classy even on the entry level Jadewood rods. All three price points offered well balanced rods with comfortable grips and accurate power ratings. The Jadewood rods are not quite as fast or crisp as the Rosewood or Noirwood, but I feel that this was by design in order to give the rods a more multi-purpose appeal. Along with a slightly faster blank, the Rosewood rods are also the beginning of Denali’s signature line. 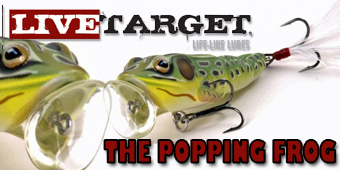 The Mike Murphy Jerkbait rods (casting and spinning) as well as the Mark Tyler All-Purpose heavy action rod were all spot on with their designations. The 7’3 Noirwood Slop Rod is a mean looking stick with a very powerful blank. This was my first experience with a carbon fiber grip, and must admit that I am intrigued. I’d love to spend a day flipping mats with this beast to put it to the test. Every Denali Rod is backed by a limited lifetime warranty. Although Munroe stated that he had not broken any in three years of fishing them, a warranty should always be a consideration when buying rod. For 2013, Denali Rods will be adding micro-guide models to their product line. 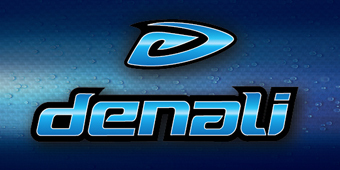 Canadian distributers are very few and far between at this point, Jig Master Outdoors in Mattawa Ontario will be carrying Denali Rods in the spring of 2013. With this combination of quality and style however, anglers should take advantage of any opportunity to examine the Denali line. 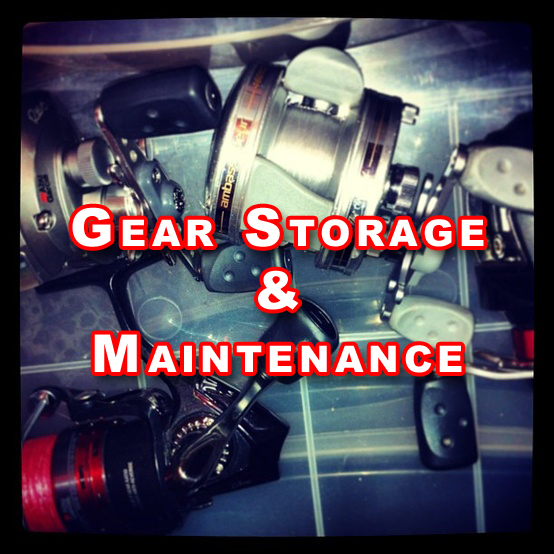 11 January, 2013 Daniel Notarianni Comments Off on Gear Storage and Maintenance.